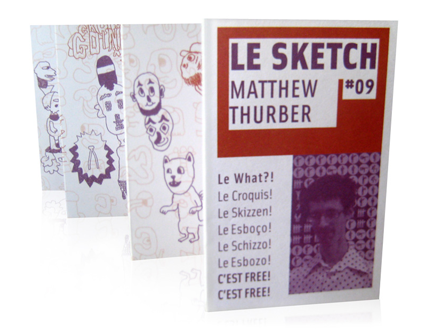 O quinto número do Le Sketch [na imagem] conta com esboços de Marcellus Hall, ilustrador do The New Yorker, The Wall Street Journal,The Atlantic Monthly e Time, entre outras revistas e jornais. O trabalho dele encontra-se também publicado na American Illustration, Communication Arts e nos anuários da Society of Illustrators. Além disso, é músico, alinhou pelas bandas Railroad Jerk e White Hassle, dando concertos nos Estados Unidos, Europa e Japão, e tem ainda uma carreira a solo muito interessante. Podem ficar a conhecer melhor o trabalho do Marcellus visitando o site dele, e no que diz respeito à música, o MySpace.com. E sim… há 10 exemplares gratuitos e assinados pelo Marcellus Hall para as primeiras 10 pessoas, basta enviar um e-mail com os vossos dados para lesketch [@] gmail [.] com – não se esqueçam de retirar os parênteses. 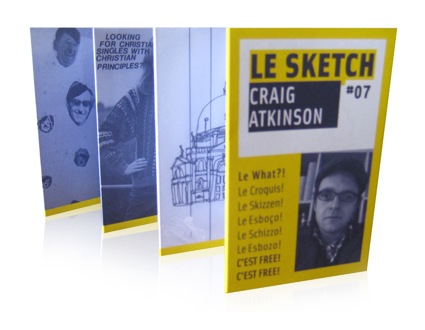 The new issue Le Sketch it’s already out there! In this fifth issue, Marcellus Hall takes us in a walk around town with an array of his wonderful sketches. Marcellus has illustrated for The New Yorker, The Wall Street Journal,The Atlantic Monthly, and Time among others. 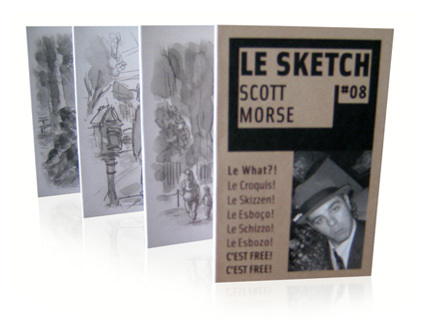 His work has appeared in American Illustration,Communication Arts, and the Society of Illustrators annuals. As a musician Hall has released recordings with bands Railroad Jerk and White Hassle and has toured the U.S., Europe and Japan.Hall continues to make music under his own name and has begun illustrating children’s books. More of Marcellus work can be seen at his website and you shouldn’t miss his MySpace.com page either! 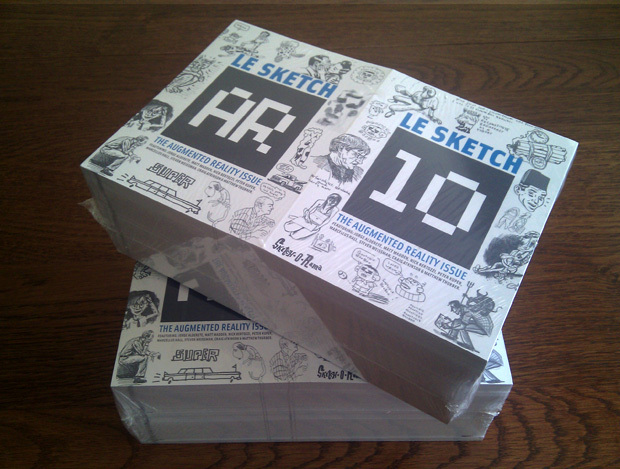 And yes… we’re giving away 10 free copies signed by Marcellus to the 10 first e-mails to arrive at lesketch [@] gmail [.] com – don’t forget to remove the brackets. And please, include your name and address in the e-mail.